Kat is an Architectural and interior photographer. Her background in interior design provides her the knowledge and language to understand the perspective of designers and architects. It allows her an awareness to showcase materials and design details. 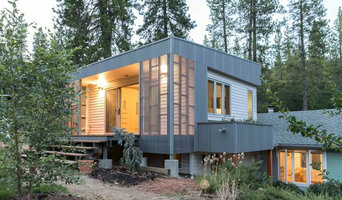 Her images have been featured in Dwell Magazine, Architectural Digest, Elle Decor, ID and national trade publications. Architectural, interior design, contractor, home builders, event activations, and real estate photography. 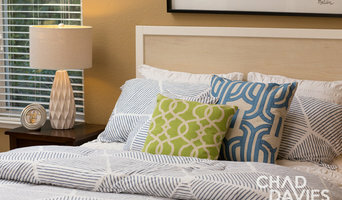 Michelle is a commercial photographer specializing in Interior and Portrait photography. Her work has been featured in The San Francisco Chronicle, Refinery29, Chairish.com, The Glitter Guide, Rue Magazine, Camille Styles, SOMA magazine, Design Sponge, SacramentoStreet.com and Casa Sugar. I am an architecture and interior design photographer serving Sacramento and all of northern California and the Palm Desert areas. Hi all! It's a pleasure to virtually meet you. I’m a Northern California based photographer with a passion for photographing places + spaces with thoughtful design. Hi my name is Stan and I represent Shutter Avenue Photography. I have been in photography business for a long time even though I have Bachelors in Architecture and have work experience in Architectural and Engineering field for over 6 years. But my passion is with photography, this is something I enjoy doing with my whole heart. But enough of that check out my work and see if my work qualifies for you. We bring life into the environments we photograph. Collaborating with Architects & Building Designers, Contractors, Interior Designers, Decorators and Realtors to produce images designed to enhance portfolios to attract and engage new clients. 35+ years of professional photography committed to excellence in production and service. Photographer specializing in architectural and landscape photography -- interiors, exteriors, and aerial photography for the real estate professional. We are a photography business that specializes in real estate photography showcasing the detailed work that is in every remodel or new construction project. Real Estate and Interior Design Photography. I specialize in Real Estate Photography. I have worked on $1,000,000+ luxury homes, as well as small, 2 room houses. I enjoy working on buildings of all sizes and don't charge you by its size. I typically shoot a couple hundred pictures per house and edit my favorite ones. This means you'll end up with more pictures than you paid for, and you'll get to choose your very top favorites. This category of photography is my favorite so you can rest assured the photos you receive from me will be my best. I'm new to this site, but my clients in the past have given me nothing but praise for my work. I believe you will too. Before you call any potential photographers, make sure they have good references. Friends who've sold or rented homes before are great resources, as are local real estate agents. Look through each California photographer's online portfolio to make sure what you're looking for is being offered. Once you've done that, it's a good idea to walk around your home and write down exactly how many and what types of shots you'll need. Include any specifications you might have, such as angles, things to consider about your home’s Sacramento, CA site, the time of day you think will be best and aspects of your home you want to highlight. Find a home photographer on Houzz. Narrow your search in the Professionals section of the website to Sacramento, CA photographers. 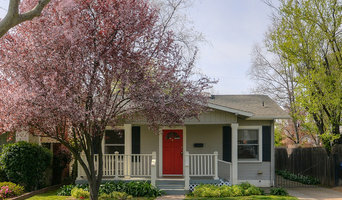 You can also look through Sacramento, CA photos by style to find a room you like, then contact the professional who photographed it.